This page has a range of digital and print tools to inspire and support your advocacy work in increasing access to the arts. 11"Be outrageous if you can. Being outrageous grabs people attention. It doesn't have to be with words. I had a Mohawk at one stage. I am naturally provocative but being intentionally provocative can be a good way to say 'Here I am, deal with it'. Thane Pullan, an Arts Access Advocate, software developer, author and stand-up comedian, provides some advice for disabled artists seeking media coverage – and advice for journalists interviewing disabled artists. Read Thane's blog "We're just regular folks"
Imagine an audience of 2.4 million people. That’s how many New Zealanders were on Facebook in 2014. How do you grab their attention? Or better yet, how do you get started on Facebook? Making the most of Facebook: a guide for community arts organisations is a practical tool for non-profit organisations starting to use Facebook – or already on Facebook but wanting to build an audience. Prepared by Arts Access Aotearoa, this guide offers straightforward and practical tips on what to post on your Facebook page, and it gives ideas for content. You can also find the link to a useful online tool to make photo collages for your cover photo. You have built an accessible website. Everything is working well. Your task is finished. Unfortunately, it isn't. Over time, things change, tweaks are made, sites are refreshed, and new content and features are added. For example, the addition of video will require captioning and a site refresh should ensure adequate colour contrast. A conscious effort has to be made to ensure there is no slippage from the original level of accessibility. Its a continuous process but doesn't need to be too hard or expensive. AccEase specialises in web and information accessibility in the widest sense. Services include audits, training and accessibility and disability consulting. Read its list of six ways to keep your website accessible. 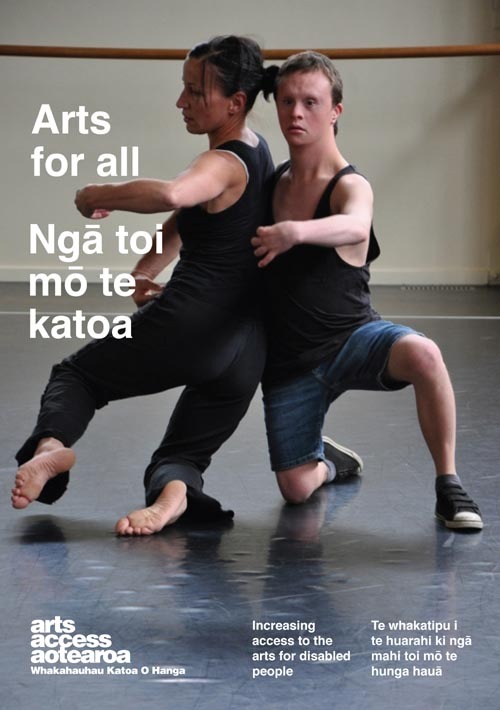 Arts For All: Ngā toi mō te katoa is aimed at artists and arts marketers, performing arts companies, literary organisations, museums, galleries, festivals and venues - in fact, anyone in the arts and cultural sectors wanting to reach a wider and more diverse section of New Zealand society. There are eight chapters, including chapters on getting started; communications; museums and galleries; and live performance. Reflecting the opportunities offered by digital media to make the arts more accessible, there is a chapter on digital media. This includes a section on e-publishing. Along with snapshots of organisations, venues and arts projects, there are also mini profiles of disabled artists and arts enthusiasts at the beginning of each chapter. It was published by Arts Access Aotearoa in April 2014. Original generation time 1.0923 seconds. Cache Loaded in: 0.0004 seconds.